Back to back wins for auto electricians. Ten years ago Briohny de Vere and Andrew Janes never would have imagined how successful their business would grow to be. The couple started Accelerate Auto Electrics in 2008 when they moved to the Coast to escape the hustle and bustle of Brisbane. 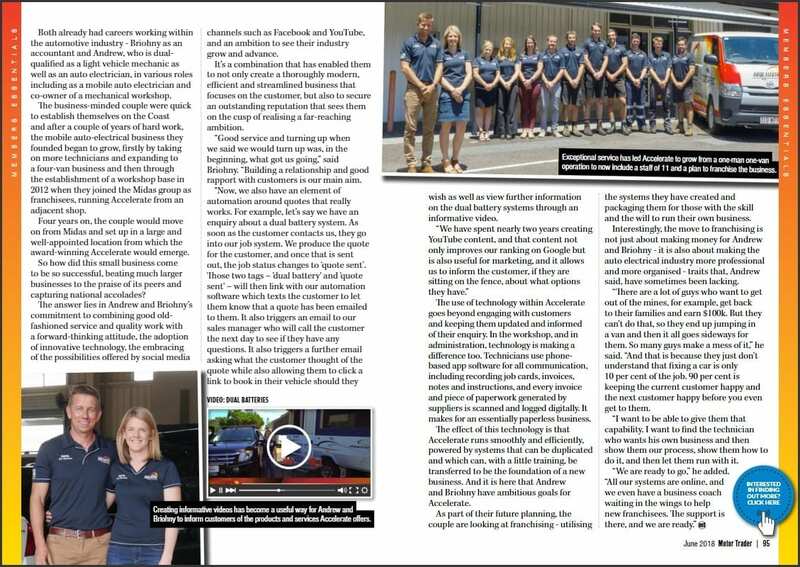 They began with just one van and have slowly grown the business to now employ 12 staff with three vans and workshop in Maroochydore. The business was named last year’s winner in the retail category at the Sunshine Coast Business Awards. Ms de Vere said the win inspired them the team to pursue more opportunities for recognition in their industry and the wider business community. They nominated the business in the recent Australian Small Business Champion Awards. 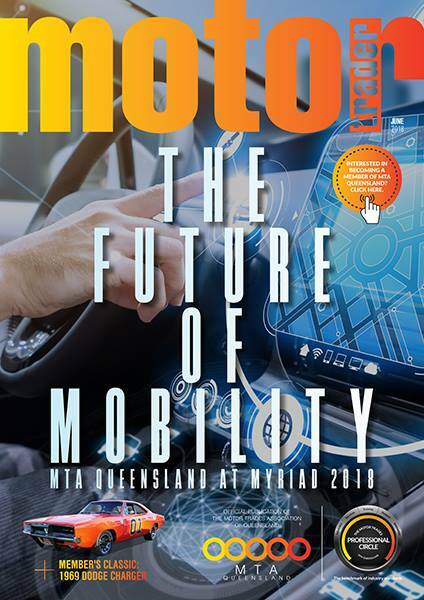 Up against some major auto electrical businesses, Ms de Vere said she wasn’t sure how they would fare, but the proof was in the pudding and the couple took out the major gong and were named Champion Automotive Services. 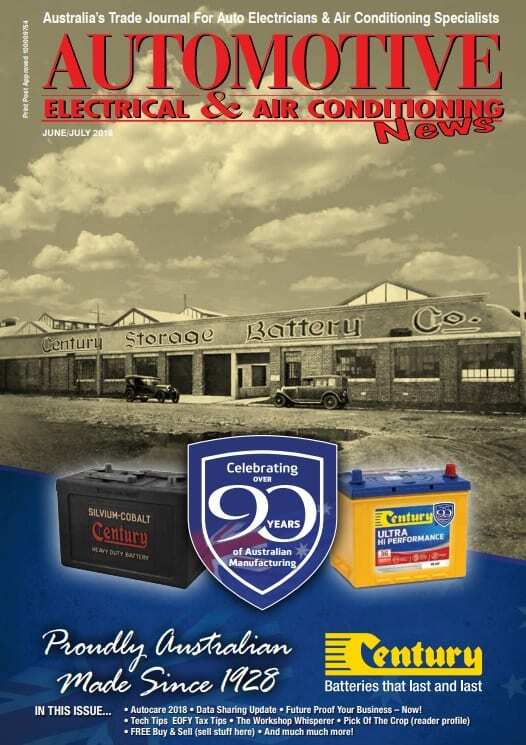 Accelerate Auto Electrics is located at 17 Trinder Ave, Maroochydore. Briohny was nominated as a finalist for the SCBWN 2018 Young Business Woman of the Year. I draw inspiration from so many people but the people that inspire me on a daily basis are my two boys (Cash, five and Saxon, three), my mum who ran a multi-million-dollar business and raised 3 kids on her own and my sister who travelled the world as the captain on multimillion-dollar super yachts. What makes you passionate about, and proud of your work? My team – they make coming to work each day fun and they inspire me to challenge myself and expand the business. Also, I love the varying tasks being a business owner offers. What inspirational advice would you share with your younger self about business dreams and success? At times business and life will be tough, but you will overcome it. Have confidence, challenge yourself, take the risk, don’t be scared to dream big. What you will achieve will be beyond your wildest dreams. And don’t be afraid to invest in a great team. What is your secret weapon business? Good old fashioned customer service is at the root of our business success. We answer the phone, we show up when promised, we call if we can’t, we always quote beforehand, we follow up on quotes, we ensure we do quality work and we ask our customers’ opinion and listen. Our other secret weapon is our amazing team! 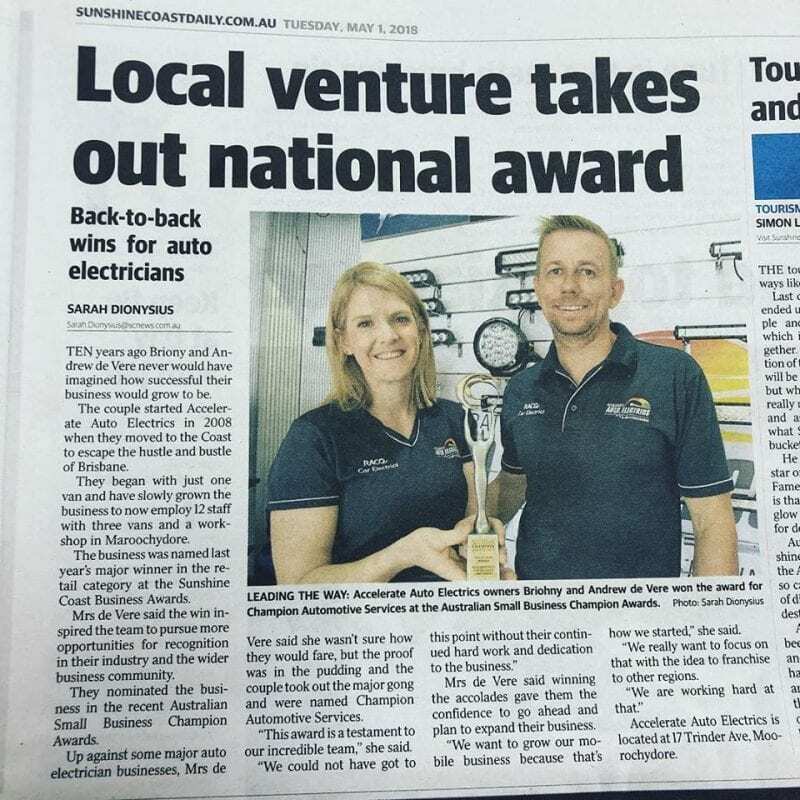 Capricorn Member, Accelerate Auto Electrics & Air Conditioning from Maroochydore in Queensland has been named Champion Automotive Services at the Australian Small Business Champion Gala Dinner and Award Ceremony recently held in Sydney. The Australian Small Business Champion Awards is a recognition program for Australian small businesses and aims to encourage high standards of excellence in small business practice. 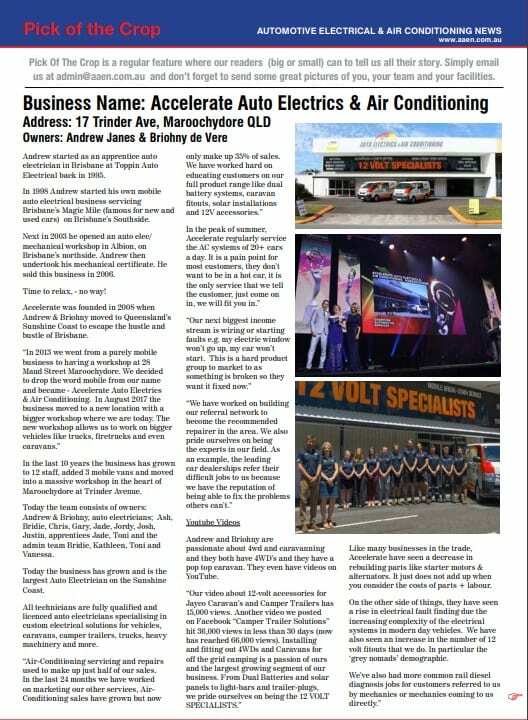 Owners, Andrew Janes and Briohny de Vere attended the ceremony and accepted the award on behalf of Accelerate Auto Electrics & Air Conditioning. “We were thrilled just to be named as finalists. So we were totally shocked when we were announced as the winner. We were up against some big businesses, one of which was a supplier of ours. The award is a testament to our team and our hard work over the last 10 years”. 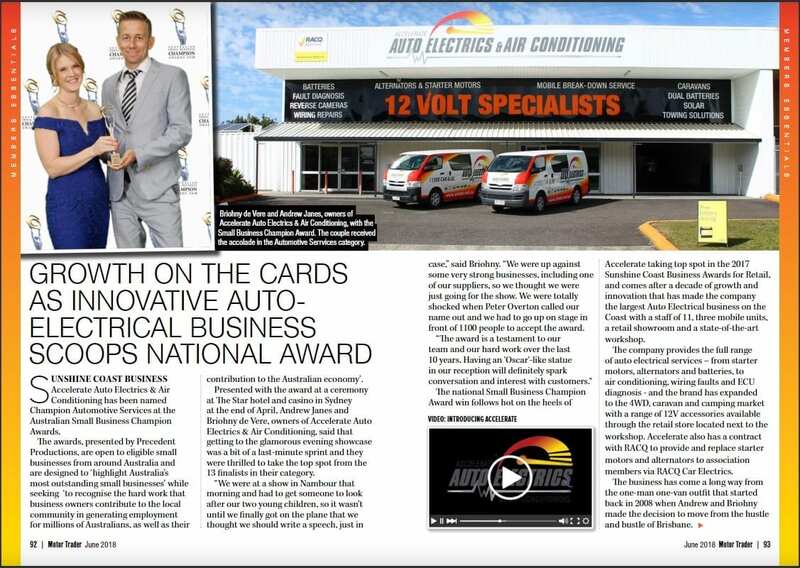 Congratulations Andrew, Briohny and the team at Accelerate Auto Electrics & Air Conditioning on their win. Jade has been awarded the MTA Institute Apprentice of the month for July. This also means Jade has automatically gone in the running for the MTA Institute Apprentice of the Year for 2017/18.